Look for AXIS Five concerts across the United States and beyond!! 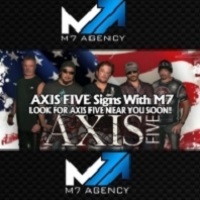 AXIS Five is proud to announce the M7 Agency and the band has teamed up. Look for AXIS Five concerts across the United States and beyond! !